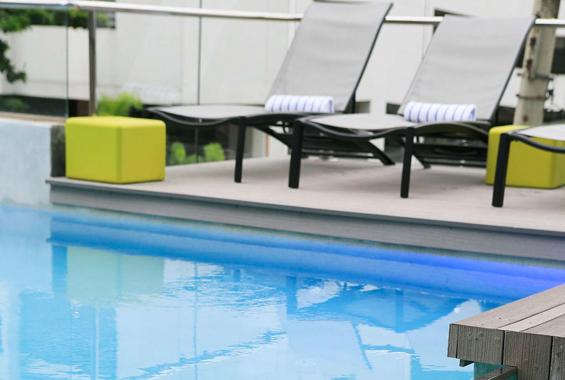 Reserve your getaway to Aloft Hotel where you’ll find fun, relaxation, and beautiful scenery in every direction. 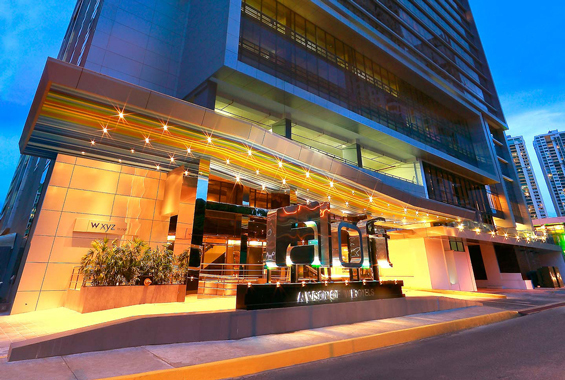 The top-rated Panama hotel is located just minutes from ATLAPA Conventions Center and within close proximity to Multiplaza Pacific Mall, Multicentro Panama, and Panama Viejo. 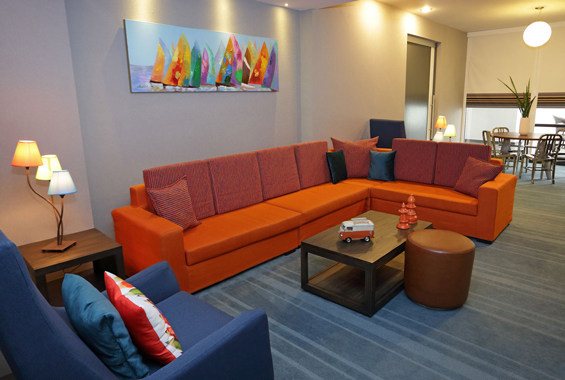 Aloft has a total of 303 air-conditioned rooms equipped with private bathrooms, refrigerators, and LED televisions. The hotel chain is based in North America and is owned by Starwood Hotels & Resorts Worldwide. Known for their modern architecture and sophisticated design, Aloft is the perfect place to stay during your time in Panama. 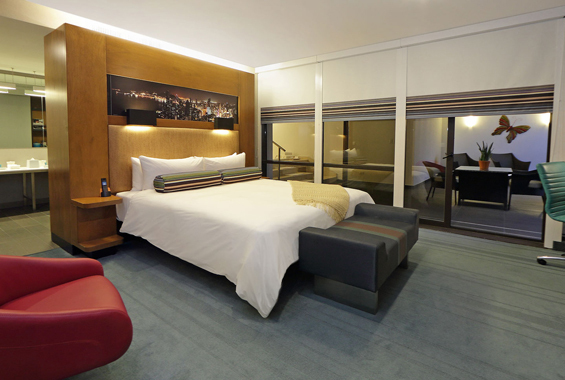 Make yourself at home in one of the hotel’s standard rooms or upgrade to a suite for a more luxurious experience. In each room, you’ll find complimentary wired and wireless internet access to keep you connected to the outside world. Digital programming provides endless entertainment for your enjoyment. 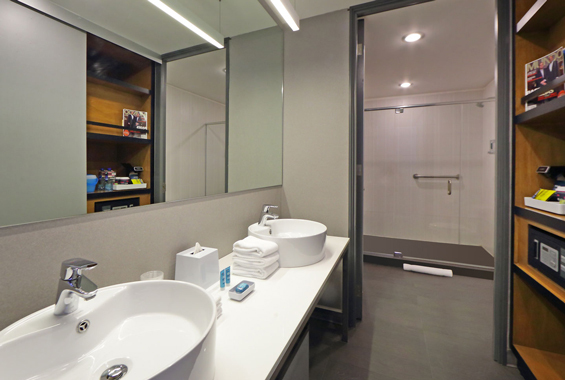 In the private bathroom there are designer toiletries and showers with rainfall showerheads. Other conveniences include laptop-compatible desks and safes, as well as daily housekeeping. Just a short distance from your room you’ll find a wide range of amenities, including an outdoor pool, nightclub, and a 24-hour fitness center. Shuttle service is also available to hotel guests. If you start to feel a little famished, just head to one of several cafes and eateries located on-site. 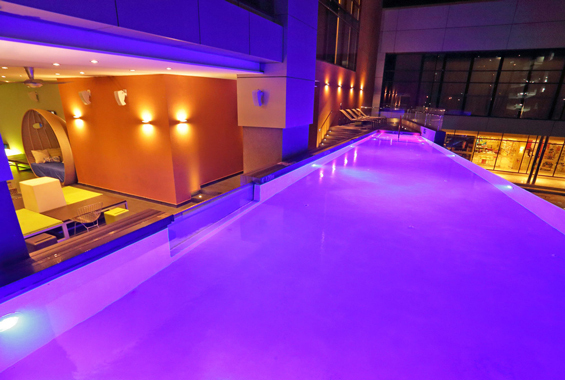 Aloft Hotel offers a coffee shop, snack bar and deli, a bar/lounge, and a poolside bar. In the morning, breakfast is also available. Aloft’s W Xyz(SM) Bar is the perfect place for hotel guests to mix and mingle over a few cocktails. In addition to a versatile alcohol menu, the bar also has a snack-attack menu, mood music, and on occasion special events. Another eatery you’ll want to check out is Re:fuel by Aloft(SM). The self-serve gourmet pantry offers mix-and-match meals and is available 24/7. 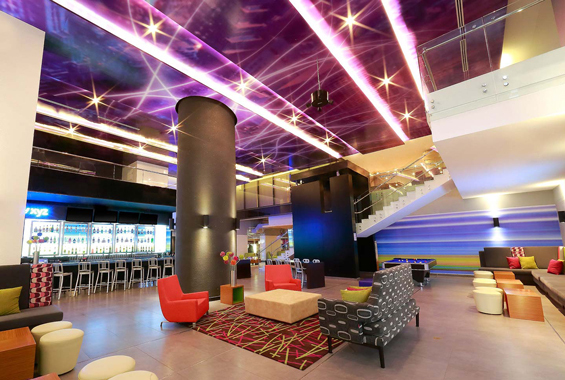 There are other great guest services to enjoy at Aloft Hotel. The front desk is available round-the-clock for your convenience and you’ll also find elevators, dry cleaning services, laundry services, and 24-hour security. Valet service is available to make your life easier and 100 percent non-smoking rooms are plentiful for more health-conscious guests. 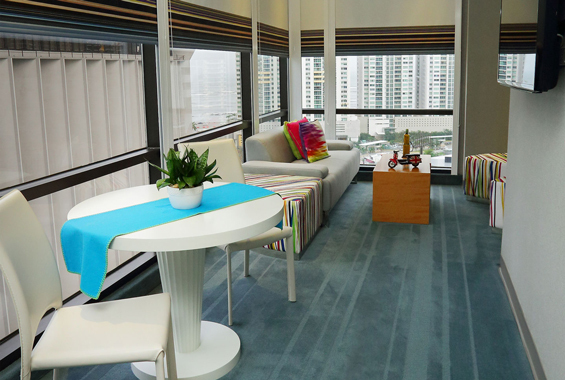 For individuals who visit Panama for work, Aloft Hotel has business services in addition to free internet-based printing services which are provided in the business center. After a long day of business, head to the BlackSpade Casino and try your luck. For business purposes, Aloft Hotel is the place to be. The hotel has four spacious tactic rooms that can be configured as a boardroom with a table for 12 or any other arrangement you need. The rooms are equipped with a premium A/V set-up that can display PowerPoint and training videos. With free Wi-Fi, everyone can stay on point, whether you’re having a brainstorming session or are reviewing important business documents. The hotel will also supply other business tools if needed, such as easels, boards, and flipcharts. With its location just 25 minutes from the Tocument Airport, it’s easy to bring the whole team together for business. Situated in Panama City, Aloft Hotel offers guests a contemporary loft-style layout that feels like home but with many lavish amenities to enjoy. The modern hotel is spacious with large windows, plush platform beds, nine-foot ceilings, and a sophisticated vibe. Guests can choose between a standard Aloft Room or an Aloft Suite which offers extra lavish amenities that you won’t find in the standard rooms. With cutting-edge technology and a chic style, Aloft Hotel in Panama City is the perfect place to visit for business or pleasure. 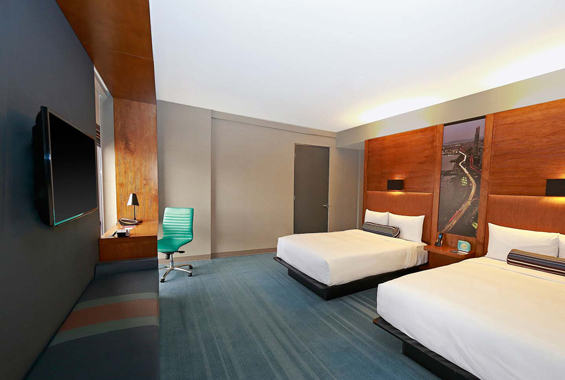 Reserve your stay at Aloft today.